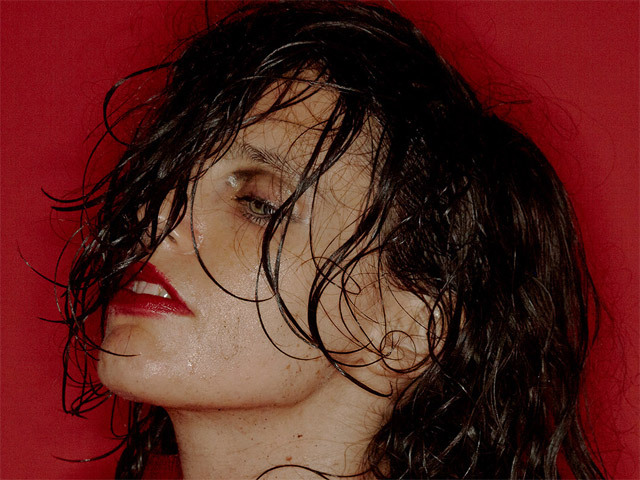 Globally adored for her commanding voice, virtuosic guitar work and uncompromising bravery, English singer-songwriter Anna Calvi will be showcasing her latest masterpiece Hunter for Australian audiences this June as she pairs a performance at Tasmania's beguiling Dark Mofo festival along with intimate shows in Sydney, Melbourne and Brisbane. Pitchfork fawned over it's "remarkable evolution" which "pushes her artistry to another level" while the Guardian could only sit back and pronounce it as "glorious and triumphant". Calvi's signature vocals, so bold and striking, permeate the record as they dart and weave around her dazzling guitar playing and synchronize perfectly with world class accompaniment supplied by Portishead's Adrian Utley (keys) and The Bad Seeds' Martyn Casey (bass). The third chapter of Calvi's sparkling career to date, Hunter, joins 2011's Anna Calvi and 2013's One Breath as evidence of a generational talent. Legends like Brian Eno and David Byrne started taking note and it wasn't long before she could start calling herself a multiple Mercury Prize nominated artist. Hunter, with it's singles 'Don't Beat the Girl Out of My Boy', 'Hunter' and' 'As A Man' truly allows Calvi the opportunity to explore her myriad gifts. Working with famed producer Nick Launay (Nick Cave & The Bad Seeds, Midnight Oil), Calvi lets loose something wild and passionate that brings the listener closer to her renowned on-stage energy than ever before. "Being on stage is the one time I feel permitted to be the person I can't be in my everyday life", she says. "Onstage I want to test how far I can take the extremes of strength and vulnerability."